As most people have probably heard, the Mists trailer is out this morning! I watched it eagerly and I really enjoyed it. I saw some comments going around where people were comparing their “favourite” trailers or rating and numbering them. It seemed like a good opportunity to go back in time a little bit and reflect on the trailers for the previous expansions. It’s interesting to see the evolution in both aim and tone. For me what really stands out about the classic “World of Warcraft” trailer is that it’s quite ambitious for the time. Keep in mind, I didn’t play the original Warcraft RTS games nor did I watch this trailer when it was current. Based on the way it’s put together, it feels to me as if they really wanted to highlight and showcase the various races that would feature in the game that people knew and loved from the originals. So it’s very, “Look, it’s a dwarf! Look, it’s a night elf! Look now she’s a panther OMG you guys!” That isn’t necessarily a bad thing, either! Something interesting to note for later (if you’re watching the cinematics along with me) is the characterization of the orc versus later orcs. The orc in this cinematic is very much “ROAR” and look there is fire and I am big and scary. To my ears he even sounds more bestial/brutish; if watching this trailer were my only experience with any Warcraft stuff I might think he was a monster rather than a playable, sentient race. This cinematic sets out to get people excited about what they will see in the online version of Warcraft, and is obviously aimed mostly at fans of the Warcraft universe. This is a trailer I watched closer to when it was actually released. I didn’t have any idea of the backstory of Illidan (Tyrande, Malfurion etc) at the time so I had no idea who the scary guy with the voice was. Watching it now with different eyes, I can appreciate the impact of the Illidan voiceover. You know it had a lasting effect, because how many times did you hear someone make a joke or quote, “I/You/Your Dog was not prepared”? The blood elves and the draenei are characterized; they did a particularly good job with the female blood elf, in my opinion. Especially the first time you watch this trailer, you’re surprised by her sudden shift in attitude from seemingly innocent to sinister. There is a need in her that’s frightening, which is exactly the story of the Sin’dorei in the Burning Crusade. Up until this point with the cinematics, Blizzard has been outdoing themselves each time. I’m not talking about the actual graphics of the cinematics (although they have obviously improved, along with technology) but also the scope and ambition. This one shows the Dark Portal with its swirling door – challenging players, even mocking them. “You are not prepared” became a catchphrase because it was so memorable and it hits right at the heart of gamers. You think I’m not prepared? I’m going to show you how prepared I am! This trailer. (Did you watch it again? You really should.) This trailer gave me chills. It’s so cleverly done. The juxtaposition of Terenas Menethil instructing his son on the responsibility of royalty paired with the dark visuals and the true horror and irony of what his son went on to become are nothing less than masterful. I don’t know if it’s because Blizzard had such a legendary figure from the previous games to build upon, but in terms of cohesiveness and impact this trailer blows all of the others out of the water. I can’t even find something to nitpick about with it. It has awe-inspiring visuals, emotional heft, and it also tells a story. Even the music used for it is phenomenal and it lends much to the story itself as the trailer unfolds. It is a tragic lament, an incredibly sad song – in keeping with what is also a tragic story. The cinematic leaves you wanting to defeat the horrors that are hinted at here. I look at the legions of undead and I still get twitchy even to this day. I really want to kill the Lich King and everything he stands for. And this is knowing that I’ve already done so! This trailer is successful even when it’s an anachronism. Basically, I love it, and I loved Wrath, so I am clearly biased. The trailer for Cataclysm is an interesting case. I would argue (and you’re welcome to disagree) that it is much less successful than any previous trailer, even the Vanilla trailer. Oh sure, it has impressive visuals. You get the lava and the forge and the big dragon. But for me therein lies the problem that we’ve been talking about for all of Cataclysm: the story told in this trailer really boils down to “I am a big dragon destroying your Azeroth rawr.” It’s sad because the character of Neltharion has a lot of meat to it, none of which featured in Cataclysm at all. I found myself struggling to remember whether I even heard his voice when you’re fighting him, or if I only read what he said on the screen? The fact that I can’t remember seems eloquent enough to me. That’s where this trailer falls down. It has some emotional impact, yes, but all of the weight of the trailer rests upon the locations Deathwing is destroying. It relies on you caring about seeing them destroyed. In that sense, it works. Seeing Thousand Needles awash in a great tidal wave is definitely upsetting. But other parts of the trailer just expose the suspension of disbelief necessary for Deathwing to work as a villain, and why he simply wasn’t that effective in Cataclysm. He was STANDING on Stormwind and he didn’t just raze it to the ground. Yes, it’s distressing to see a dragon with his claws planted at the front gate of Stormwind. 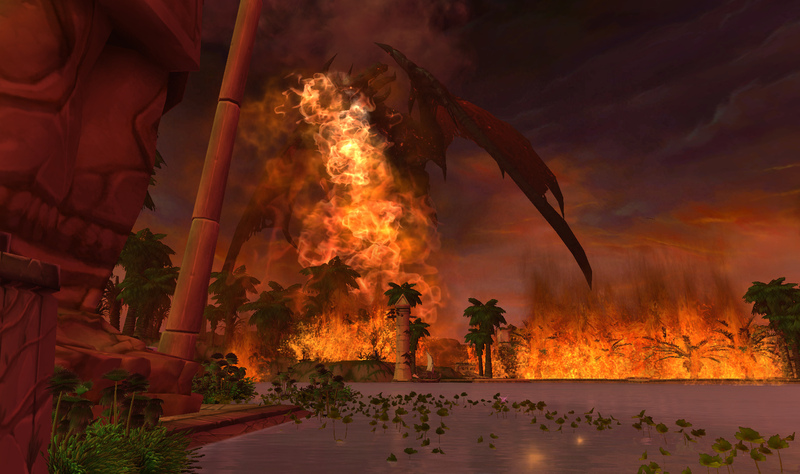 But you know that Stormwind wasn’t actually destroyed, and then you have to wonder, why not? It took us an entire expansion to take him down, but for the majority of that he was just flying around randomly breathing fire on some things. Someone on Twitter pointed out (I’m sorry, I can’t remember who to attribute this to) that Deathing is basically a griefer. He waits until you are AFK and then ganks you by setting a zone on fire. I know some people joked that during Wrath we saw Arthas a little too much, but we saw him just enough as far as I’m concerned. I’ll never forget running into him in the “dream world” near Utgarde and how he squashed me like a bug. He was a villain who made things personal. Other people have delved into this more deeply than I want to get into here, but essentially: Deathwing is just a big dragon (yawn) and that’s basically this trailer to me. Now we get to the exciting new shiny that everyone wants to talk about! First of all, I want to talk about the orc here. (Remember how I mentioned orcs earlier?) Notice what a huge difference there is with this orc versus the first orc featured in the classic WoW trailer! This orc is canny. He doesn’t just come lumbering up to the human, he’s watching him for a moment, gauging his opponent, thinking. Oh, there’s no doubt they are going to end up fighting (hello, orcs and humans) but he doesn’t just charge in blindly. When he accidentally reveals his position with a sound, then he’s lost the advantage and he seizes what he has left to him to try and catch the human off-guard. I really like the way they chose to portray both the orc and the human here. The human is also a grizzled veteran and someone used to command. He’s not going to back down from a fight with the orc, and it’s a great fight scene. As the trailer goes on, the appearance of Chen Stormstout just makes it better. Of course it has all the kung fu movie type tropes (effortlessly dodging attacks and putting both opponents down repeatedly, etc. Although the human does take a chunk out of his hat!) This is basically just a good, wholesome fight scene and it’s enjoyable to watch. There are moments of subtle humour, too – Chen replaces the pedestal the orc broke and then straightens it (you can almost hear him thinking “HMPH,”) and when the human hands the orc the spear their open-mouthed gaping is priceless. But what about the story, since I was so down on the Cataclysm trailer and Deathwing for lacking a story? Well, it’s an interesting trailer because unlike the previous three expansions (and as Blizzard themselves have made this clear) it doesn’t have a “big bad.” You don’t see any villains in this cinematic at all, unless the humans and orcs are the villains, and we just might be in this context. But that doesn’t mean it’s lacking a story. Chen’s voice over speaks volumes about that with the more philosophical questions. “Why do we fight?” etc. 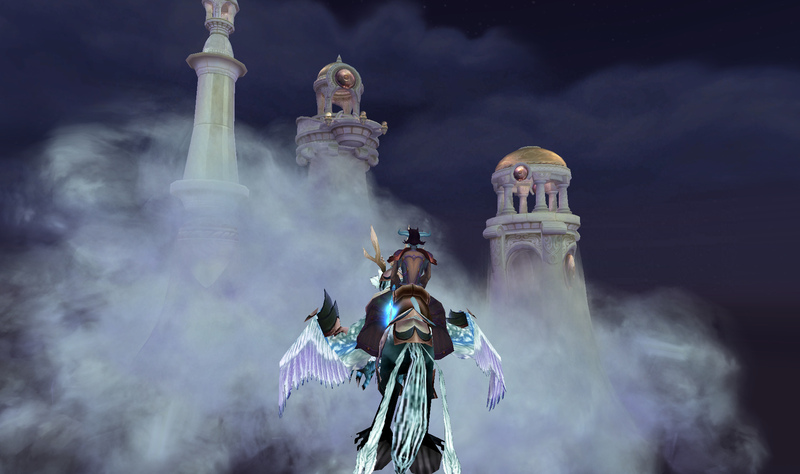 The moment when the mists dissipate to reveal the rest of Pandaria gave me chills just like the Wrath trailer. Again, it’s a completely different approach and that’s what I like about it. It takes several themes – the conflict between the Horde and the Alliance, the nature of the new race we are meeting – and interweaves them. 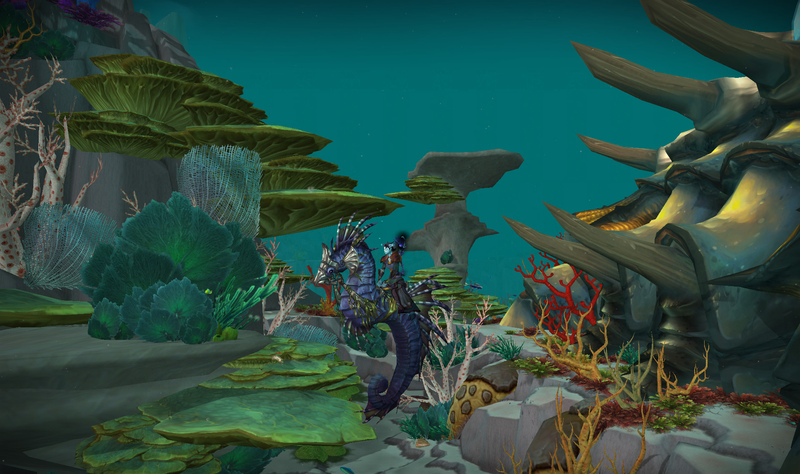 We know that Mists doesn’t have one overarching villain the way previous expansions did. That doesn’t mean it lacks conflict. The trailer left me with a strong wish to explore this land and get to know its mysterious inhabitants. That is the best place you could hope for a trailer to leave you – excited, anticipatory, and impressed. If this world is even half as beautiful as the trailer would suggest, I am going to be ridiculously happy wandering around it at the end of September. 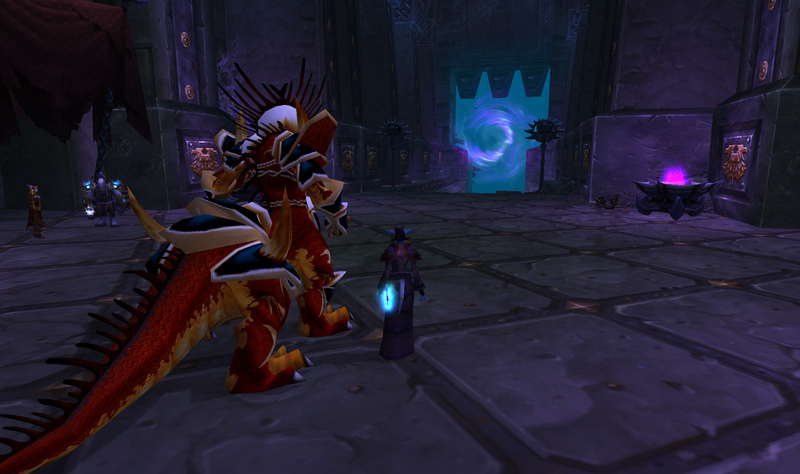 Here's a shot of Deathwing before he became too busy tossing people off his back in LFR to burn the world. This was taken moments before I met a fiery end while trying to fish peacefully in Uldum. "Oh, the fire won't extend this far..." Famous last words, DW, but I got my revenge. I was actually awake when the NDA for Mists lifted! I could have written a blog post then and been a forerunner in blog news. Instead, it’s a few days later and everyone has had time to pick over and digest all of the new information and so you won’t learn anything new here! Of course there were some things I am interested in with Mists. One is a new character slot – hallelujah! Of course, I would have preferred a few new character slots (five, maybe?) but I’ll make do with one. The hardest thing for me is looking at my roster of characters and deciding who is going to die. Which one gets the axe? I know there are some folks for whom deleting characters is actually somewhat cathartic or commonplace, but for me it’s a big deal! I’ve only ever deleted one character who was higher level than 40; my ill-fated hunter. I just never “clicked” with her. Actually, I lie – I didn’t even delete that character, I transferred it to Voss’ account. So the highest level character I’ve ever deleted was twenty. -Sarika, 32 Draenei warrior: Warriors are pretty fun and all, but I seldom play her and don’t have much interest in tanking generally. My intent was to level her as a tank and blog about it. She doesn’t have much story or background to speak of either so as far as “murders” go it’s pretty low-risk. -Jun, 16 Night Elf rogue: I finally made a rogue but I only played her for a day. I have to admit, the lowbie rogue experience seems to be lacking in some way? (Or else it’s me that’s the problem). I learned poisons but they didn’t tell me squat about poisons, and the only way I found a poison vendor was looking on Wowhead. If I had been a new player with this rogue I probably wouldn’t have put poisons on my dagger for approximately 50 levels or similar, as it was it’s a miracle I remembered that you could put poisons on EACH dagger. So Jun’s fate is uncertain, at the least I will probably keep her and use the name for my pandaren. -Mildred, 41 Forsaken priest: Actually, Mildred’s name probably doesn’t belong on this list because I can’t bring myself to delete her because her name is Mildred. Even though I have little interest in playing a priest or a Horde character at this time. I’ve considered deleting her just to remake some other class so I can experience the “new” Forsaken experience everyone is talking about. But Mildred is the perfect foil to my Millya, so she’s probably okay. Plus Voss has adopted her name as a means of referring to someone who is doing something annoying, such as running halfway across a zone to pick a Mageroyal, losing track of every person in your leveling group, then stopping to pick 8000 Peacebloom. He hollers, “MILDREEEDD!” I suppose you have to hear it to appreciate it. Mists sounds like it’s going to be pretty great for pet collectors, clothes horses goats, and folks who have a sick addiction to dailies and rep grinds like I do. I played Farmville for awhile, until the pressure to harvest imaginary vegetables made me ask myself, “Why am I logging in at specific times to plant more blueberries when I could be playing WoW instead?” Now I’ll never have to experience that dilemma again. I’m not even being sarcastic, I’m excited to plant Warcraft vegetables. I think this addition might just tip the scale and get my Mom to play WoW too, which is why I’m not going to mention it to her. I was telling some guildies the other day that I asked my Mom if she wanted to try WoW because I thought her tolerance for repetitive activities would make her the ideal herb-farmer and miner. In her off-time, she would collect pets. I’m informed that considering using my Mom as an herb farmer makes me a horrible person, which is probably true. But she’d be so GOOD at it! I like the female Pandaren models. I’m interested to see more of their faces, but I think they are much better than they could have been; they are obviously not an afterthought as female worgen were, which shows that Blizzard was listening to those criticisms, which I appreciate. I’ve heard that some bottom dwellers have already come out of the woodwork to complain that they are fat, to which I say, they are PANDA PEOPLE. Get over yourself! She could have been even fatter and I would’ve been happier, but she’s fine the way she is. I’ll be happy to play one, which is pretty different from my initial feelings about the Mists expansion. Generally, everything I read about Mists made me more excited to play it. I think the story sounds interesting, I think exploring the continent sounds exciting – even the 10,000 waterfalls, which I will no doubt visit because I like a healthy dose of masochism with my gaming. There will be so much content at level 90 that I can’t possibly be bored. Not being a Warcraft III player, I had no basis for the existence of Pandaren but as friends urged me to keep an open mind I put any premature judgements on hold. Even Voss has warmed to the Pandaren and is looking forward to leveling one with me. The only thing that will need addressing before Mists is my serious dearth of bank space. I finally sold my Darkmoon Card: Volcano just the other day in desperation and to free up one more slot. Farewell, old friend. You served me well for three tiers. You will not be missed. I eagerly await the time when mounts are made account-wide so that I can ride my ridiculous and awesome rooster mount on any character. They’ve said it’s next on their list after pets, now that the tech is in place to make it happen. That’s a feature worth having, as far as I’m concerned! Cory Stockton also said that there’s been a dramatic increase in the number of people who are raiding since LFR was introduced; he had to be a bit sly about specifics, so no percentages or numbers, but that’s pretty neat to hear. LFR obviously has its upsides and downsides, but the ability to queue for it with friends from other servers has made a big difference to me. Plus, I’ve been using loot from it on my main for months now so I should probably not say much! Last but not least, here are two links to things that caught my eye today. My fellow Moonrunnerian (Moonrunnerite?) over at Double Protection wrote about a topic near and dear to my heart: Loot! Don’t lie, you love the purples too. Specifically, he’s addressing a problem that our raid group has experienced – loot distribution for tens. We had six weeks of constant Conqueror tokens, I’m not even kidding. We only recently started to get Vanq again, I got my four-piece bonus just a short time ago, and two of my pieces were from LFR. I like some of his ideas. Alas of Kiss My Alas fame is sadly wishing the Warcraft blogosphere farewell (Kiss this Alas goodbye). Alas’ voice will be missed, also her querulous sheep that never fails to make me guffaw. (Okay, I’m biased, so what). Best wishes, Alas! Mage mage. And Cynwise did a reading round-up just today, so in a lazy roundabout way you should check out his post if you’re looking for yet more great posts! We interrupt the regularly scheduled Tuesday Art Day for more pressing matters. First, here’s a video from the genius of Greyfoo to make you laugh while you’re waiting for the servers to come back up. What do mages have to look forward to? I’ve cut the relevant part of the patch notes out here. A few of them are mostly relevant to me (unless you’re also a draenei mage, in which case, draenei solidarity!) I’ve put commentary underneath most of the things. (TL;DR – most mages are going to be pretty happy today, and we’re going to hope things work out well for Frost). Gazimoff wrote an analysis of 4.0.6 worth checking out a little while back, with more explanation. If you’d like to read the full list of patch notes, they’re available here. Molten Armor, Frost Armor, and Mage Armor no longer cost mana. Most of this stuff is great news – mana reduction, mana reduction – Flame Orb gets marginally smarter, and Ring of Frost gets a predicted nerf. Also, when I’m questing in Frost I won’t have to abandon poor Speak to certain death because he’ll go invisible when I do. Good stuff overall! There’s a nerf in here for Mage Armor too, but in the grand scheme of things it’s not too terrible. More PvP adjustments for Arcane. Firestarter is greatly improved and now we can cast scorch while moving regardless of armor (“I’m casting scorch while mooooving guys!”, my guild hears this pretty often) AND Molten Armor will now grant crit. So that’s a straight-up buff, enjoy your new crit! Flashburn also gets a 12% increase which is pretty substantial. This along with the mana cost improvements to Fireball and Frostfire Bolt means Fire mages should be pretty happy with these changes. As for Frost, I had read that they claimed what looks like nerfs is actually a normalization and that Frost and Fire mages have been performing similarly on the PTR. We’ll have to see how this plays out – if anything it should save our frost mage from a heart attack when he uses Deep Freeze a few seconds into a boss fight. The Hurricane weapon enchant should no longer proc when Polymorph is cast. I’m not sure how great the discrepancy was between actual mana and the tooltip, but evocation will give a bit more mana. Now, I don’t see it mentioned here but I’m sure I read it elsewhere. There was a bug where putting only one point into Pyromaniac was granting a flat 5% haste all the time. This is being remedied and will no longer be the case. Worth noting if you have this trinket from Atramedes – it seems it just got better! If you’re an alchemist, in which case you already get twice as long for your flasks and rub my face in it during raids and…why in my day we used our normal flasks and we liked them, too! Grumble, etc. No really, enjoy your fancy new trinket, alchemists. If you’ve been using Crit or Hit to your bracers, you’ll be wanting to find this new enchant when you can! Meantime, good-bye 60 intellect. I loved you. I’m not an engineer, but this sounds good if you are a one. What we have all been waiting for! Take note, if you’ve been using a meta other than Chaotic (and it wasn’t worth using Chaotic) you will now want to switch to Chaotic immediately until you can get your hands on the Burning Shadowspirit Diamond. Unfortunately the recipe is a world drop. When you’re able to obtain it, it will be the meta of choice and I am very excited. As for the other changes, no more swapping Justice Points for cheap and resell able Burning Crusade gems, and a new spell penetration/resilience gem available for PvPers. But did I mention the new meta gems? Because there are these new meta gems…! For me this translates to approximately a 21K heal. It used to scale with my spellpower, and I think it heals for less this way, but I’m still going to be using it pretty much on cooldown. A minor quality of life improvement so you can see your total haste. Not a big thing, but worth noting. 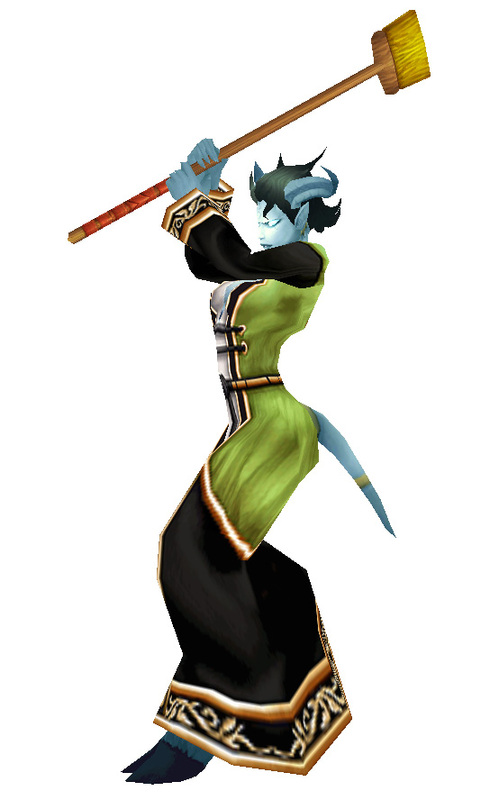 Have fun burning, freezing, and… er…blasting some things, fellow mages! Do you have a better idea for the arcane verb: to kill things with targeted magic? Feel free to share it in the comments! A few weeks back (because he’s on top of things like that), a guildie of mine compiled a list of mage gear, following in the footsteps of other folks on the Mana Obscura mage forums who were getting ready for Cataclysm. I read it, said “Hey, that’s great!” and filed it away for future reference. I didn’t think I’d be needing it immediately. I was wrong. I’ve found myself referring to his list often over the past few days, but I’ve also started squirreling away information of my own, and so this edited list was born. 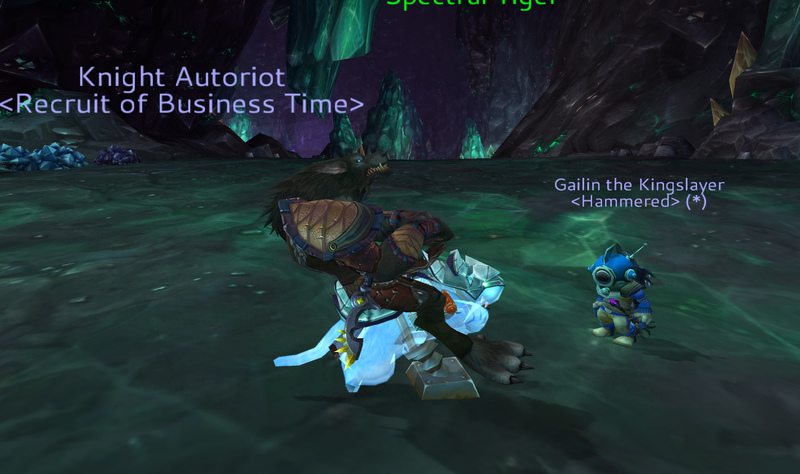 My favourite style of pre-raid gear list was defined by the excellent Gearing Your Feral Druid at 80 guides by Allison Robert. I am following in her footsteps by categorizing the drops because sometimes you can’t depend on drops, and it’s nice to see at a glance what you can use in a pinch. I’m not really doing the level of analysis that Allison did with those guides, though, because what’s BiS for one spec may not be quite so for another. Naturally, you’re going to want to prioritize hit until you’re capped or near it, and then chase specific stats as your spec and playstyle demand. A huge thanks to Fsob for his original work and permission to use his list as a starting point. If you just want to know about all the very best gear, here’s where you can find that list. Please note that this list covers Reputation items, BoE profession items, items that can be bought with Justice Points, and 5 man heroic drops. It does not cover BoE raid drops, PvP items of any kind, holiday items, items bought with Valor Points, Archaeology items, or profession specific items, enchants, or gems. All Reputation items are from Alliance reputations. Horde have the exact same items, just with different names/reps. I changed the formatting a little; assume that all instances refer to heroic drops UNLESS otherwise noted. For all of the items, you can assume that the normal drop of the same item is a solid choice while leveling, or will at least stand you in good stead until you can replace it. Do you have your head in the sand about your gear? Refuse to admit it's time for a wardrobe update? We can help! I intend to use this list to focus my efforts and identify weak spots in my gear that can be improved. I’ve tried to make it as relevant and thorough as possible, adding parts in where I thought they were missing, but I make no claim of 100% accuracy. Feel free to mention any additions you feel I’ve overlooked, I don’t want to have misinformation! Each slot is divided into four categories: Purchased/crafted items (including Justice Points), drops, quests, and faction rewards. What is best for you will depend on your spec. Please note that all instances referenced below refer to heroic versions. This helm is available at Honored with the Earthen Ring. Save yourself some justice points and pick up Helm of Temperance as a good starter helm. It’s almost identical to the normal version of Crown of Enfeebled Bodies, and it has a meta and one socket as well. Enchant with Arcanum of Hyjal (Guardians of Hyjal, Revered). Clan Heart Shoulders– Reward from quest The Loyalty of Clan Mullan in Twilight Highlands. Blight-Lifter’s Mantle – Reward from The Source of Their Power (dungeon quest) in Lost City of Tol’Vir (normal). There is no good reputation option, unfortunately. Enchant with Greater Inscription of Charged Lodestone. (Therazane, Exalted). There are not any viable options that don’t require Valor Points. 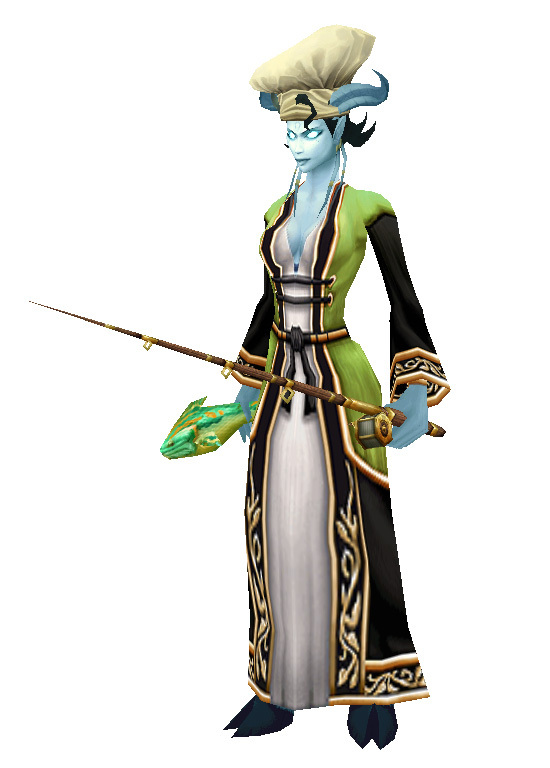 Stone-Binder’s Cloak – quest reward from The World Pillar Fragment in Deepholm. Cloak of the Dryads – You can also pick up this cloak from the Guardians of Hyjal at Honored. It’s not the greatest (spirit, ick) but you can reforge a bit of that until you’re able to replace it with something better. Enchant with Greater Critical Strike or Greater Intellect. Overly Intelligent Robes – Reward from the quest Skullcrusher the Mountain in Twilight Highlands. There seems to always be a dearth of available bracers. If you can’t snag any of the other options, these two tailored resilience pieces are almost identical except for one stat: Emberfire Bracers has haste while Fireweave Bracers have mastery. Enchant with Precision, Greater Critical Strike, or Greater Speed. Corruption Resistant Gloves – Reward from quest Magmalord Falthazar, Twilight Highlands. Enchant with Haste or Greater Mastery. Dreamless Belt – BoE Crafted by Tailors with a skill of 525 (but these are going to be pretty dear until enough time has passed for people to level tailoring and acquire cloth). Pillarbind Waistguard from quest in Deepholm The Middle Fragment. Cord of Raven Queen – Again, another spirit option that isn’t ideal but if you happen to have a ton of Guardians of Hyjal rep, it’s better than nothing (Exalted, Guardians of Hyjal). Add an extra socket with an Ebonsteel Belt Buckle. Pensive Legwraps – 2,200 Justice Points. Legwraps of Astral Rain – Isiset in Heroic Halls of Origination. Enchant with Powerful Enchanted Spellthread or Enchanted Spellthread. The crafted options here are not as good as quested, and the BoE drops will be very rare initially. Enchant with Lavawalker, Mastery, Haste, or Precision. Ring of Warring Elements – BoE crafted by Jewelcrafters with a skill of 525. I was fortunate enough to have a jewelcrafting trinket for this slot. Trinkets are notoriously difficult to obtain but look to the quested options if you are unlucky with drops. The three listed here are all fairly decent. Darkmoon Card: Volcano – BoE, obtained by turning in a Volcanic Deck or by purchasing from someone else who did. Enchant with Power Torrent or Hurricane. Quest through Twilight Highlands if at all possible, because some of the best quested gear is from there. Then you can isolate your weakest points and upgrade those, or see what drops. If you’ve already acquired a normal dungeon drop in one slot, maybe you’ll spend Justice Points or count on crafted gear to fill another. Again, huge thanks to Fsob for putting in much of the grunt work to compile this list, and for generously allowing me to add to and edit what was already done. It would’ve taken three times as long otherwise. As it is, I’m going to use it to help me with my own gear, and I hope my contribution is some small help to any other mages (or cloth DPS folks). There are some other great guides out there; Poneria at Fel Concentration has done one for warlocks. Let me know if there are others I’ve missed and I’ll be happy to add them! Voss and I were in line last night at 11:30 along with other hapless Canadians, shuffling in place and freezing our feet to the ground. It was actually not ridiculously cold – about 17 degrees Fahrenheit, for you US folks – which was cold enough by the time midnight hit! Fortunately this year (unlike the Wrath release) the game store folks let us wait in line inside. This was greatly appreciated by all. I retrieved my Collector’s Edition (the only real reason to be standing in line instead of downloading it digitally) and then came home to get ready to play! One of the things I love about a new expansion is that there are so many different possible approaches. For me, primary goal is to get Millya to 85. That is top priority. Other folks were rolling a worgen or a goblin or trying for a realm first with professions or other things. I know some folks had trouble logging in, for us it wasn’t bad and we were online at about 1:20 AM. We started leveling through Vashj’ir initially and it was a mess. There were creatures and people everywhere – and the quests unfortunately (while interesting and fun) have a heavy focus on gathering or finding specific mobs or items. It was not a recipe for success. I stopped playing at 4:30, only a single bar away from level 81 but unable to push on. Now look at your mount. Now back to me. I have a copy of that game you love! 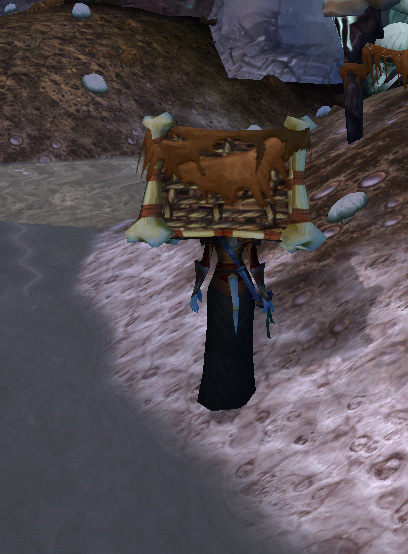 This is the mount your mount COULD be if you were questing in Vashj'ir. I'm on a seahorse. My impressions of the expansion so far are immensely positive. I have professions to level, zones and quests to see, and I’m loving the new instances. I’ll try to keep posts fairly free of spoilers, but I can’t make any guarantees. I am loving the content and I want to talk about it! What have you loved about Cataclysm so far (or not loved, if you prefer!). What was the first thing you did? I’m not the neatest person in the world. It’s true, I’ll admit it. You’ll just have to take my word for it. I consider myself mostly in the category of “messy.” When I clean things, they will be spotless (this is a legacy of my mother’s neat freak tendencies) but sometimes it’s…finding the things underneath other things in order to clean them that is my issue. There’ve been plenty of great posts about getting your finances, guild bank, and gear list in order for the launch of Cataclysm. What about your real-life environment and your food list? Most WoW players like to have some time to focus on the game to the exclusion of all else, at least initially. No, you don’t need a catheter at your desk – but if you take care of your environment beforehand, you can focus on the game in comfort and (relative) cleanliness! Here’s my plan. I do wield a broom like this. Set a time-frame. Last week I made sure the main floor of the house was spotless. This week I’m setting my sights on the upstairs – office and bedrooms, which are really the hardest parts. I am going to declutter these over the weekend before Monday and get them pretty clean. Clean a little beyond your usual standards. If you’re pretty sure you’ll be occupied with Cataclysm for awhile, clean a bit more than you usually do. It doesn’t have to be spotless (unless your Mom is my Mom and let’s be honest, what are the odds of that?) but the cleaner it is, the less you’ll have to worry about for the next week or so. Keep your goals reasonable. If your apartment or house looks like ground zero right now – it’s probably not going to be spotless in a week. Don’t sweat it. But put some time into it if you want – you’d be surprised what a difference even an hour of decluttering and cleaning can do! If, like me, you’d like to not weigh twenty pounds more by January, it behooves you to think about this. That’s why this list is going to focus on ideas for healthy meals and snacks to prepare. It’s both Cataclysm AND the holiday season. If you plan or at least think about this in advance, you’ll be thankful you did later. Things that don’t freeze well include: potatoes, eggs, anything that includes milk – they will tend to separate – Not very tasty. In-between actual meals, you are still going to want to snack on things. I plan on having many easy things on hand – and when I say “easy things” I’m not talking bags of chips. Here are some of my snack ideas (I use these for raiding, too, but you bet they’ll apply to Cataclysm). I’ll be stocking my fridge and pantry with these! Small cans of flavoured tuna (preferably not packed in oil), these are awesome on crackers! If you must have sweets, consider baking your own cookies or other treat. Homemade is usually much better for you than store bought. The two items above are great with vegetables – you can toss some veg into a pita with hummus and you have a snack, or spread cream cheese on a tortilla, cover with lettuce and add low-fat meat and you have a wrap! Bread for sandwiches – you can even freeze a loaf or too if you’d like. Canned beans – tomato based, I don’t like the really sweet kinds. I eat them on toast. Baked tortillas and salsa make for another easy snack. Of course this depends on your tastes and things you like to eat generally – you’ll notice I didn’t put “three bags of chips” on my list, or any pop/soda. I might have a few fruit juices, but generally I drink water and milk and that’s it. Even if you like to have these other drinks consider that you’re probably playing more than you usually do – things that are just “sometimes” might become more like “all the time” right after Cataclysm hits. Not loading your body with sugar and caffeine will help you play longer because you won’t crash after they wear off! You probably won’t feel like you’ve gone on a bender, either. Emergency fish are for before. Not after. Although I fully intend to play the heck out of Cataclysm when it hits (see: food and house preparation plans) I also know that it’s important to have a break from it. Rest your eyes, take your dog for a walk and peel yourself away from the screen for a minute. It’ll be there when you get back, I promise. In a few years it will be old news and we’ll be hoping for the next expansion, so why not savour it a bit? Moreover, if it starts to feel like a job and you aren’t having fun – turn it off. I know some folks have big plans to get server firsts, fair enough – planning these things will help and not hinder you! But once you’ve achieved a milestone, make sure to get some sleep. You’ll have fun and be rested for any holiday celebrations you’ve got planned later in the month. Do you have any ideas for snacks or things I didn’t mention? How are you preparing yourself for Cataclysm?